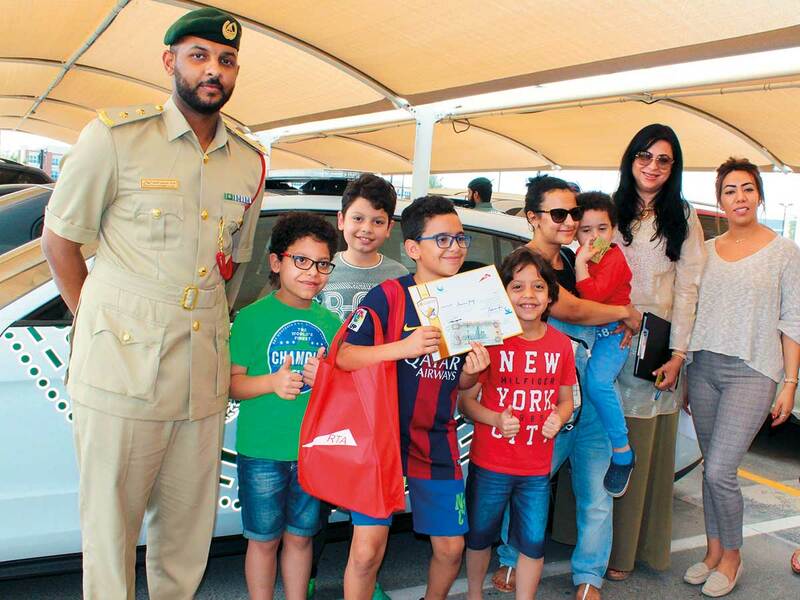 Dubai: Mariana Yousuf has been driving in Dubai for more than a decade and the 37-year-old mother of two has never got any fines, qualifying for the Responsible Road Users Award on Monday. Yousuf, a pharmacist by profession, was among 10 road users felicitated for safe road behaviour on Sunday as part of Shell GoldStar Contest, a road safety campaign organised by Shell in collaboration with the Roads and Transport Authority (RTA) in Dubai, Sharjah Police and Ciel Marketing and Events. “I make sure I never break any rules, not just on the road but all the time. I am a mother of two and I usually have my children in the back when I am driving, so I have to be extra careful. One thing that I particularly focus on is give myself enough time to reach my destination, so I never rush or I am never in a hurry, which cuts down several violations,” said Yousuf, who has been driving in the UAE for more than 11 years. The Shell GoldStar Contest is taking place across Dubai and Sharjah from April 8 to 10 and rewards cash prizes to drivers, pedestrians and cyclists who follow good safety behaviours. Drivers are selected for following a variety of road safety practices, such as using seatbelts, staying off the phone while driving, lane discipline, using child safety seats, using indicators and observing speed limits. For others, it could be the use of designated pedestrian crossings and road traffic safety practices to reduce risk associated with cycling. Another winner, Lyrain Moratin said that the recognition will help her do better and be more careful on roads. “I make sure to follow the road rules as much as I can. Today when I was driving I stopped for a pedestrian and I think a police official was observing it. I was driving to Etihad Mall to meet a client when I was asked by the police to pull over. Normally when the police stops, you get a feeling that you might have done something wrong, that’s the feeling I got. They checked my licence and vehicle registration and asked me to follow them. 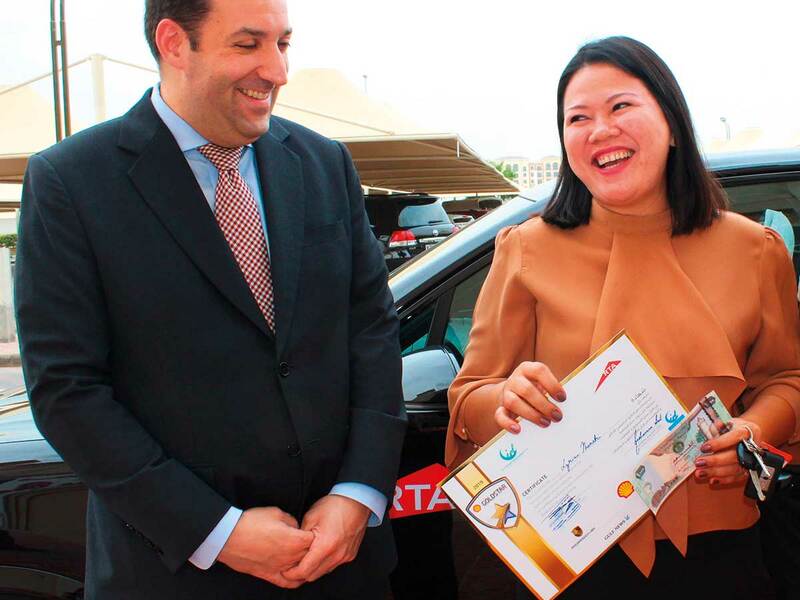 I was surprised to know that I was being rewarded for good road behaviour,” said Moratin, a Filipina expatriate, who was among the 10 road users awarded on Day One of the contest. The winners selected by RTA and Sharjah Police, walk away with a cash prize of Dh1,000 and a certificate. A total of Dh30,000 will be awarded during the three-day campaign, with 10 road users selected for each day of the campaign. The campaign is supported by Gulf News, Friday magazine and Wheels magazine, as well as Oman Insurance, Porsche Centre Dubai.